As explained before, I haven’t had the time last month to write all the segment analyses for the third quarter in Europe, and I initially thought it would be too late in December to still be relevant. But after many requests from our faithful readers, I decided to put a few days of work into it anyway. It won’t be until early February that you’ll get the Full Year 2017 reports, and there have been a few interesting developments and noteworthy newcomers in some segments. So for those of you still interested, you can find them by using the “Europe sales” menu in the top of the page, or click the links below. Enjoy, and happy holidays! 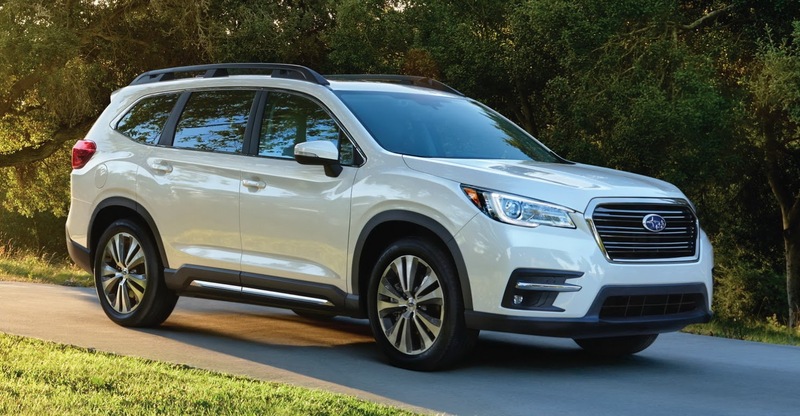 The new Subaru Ascent may well be one of the most overlooked debuts from the LA Auto show at the end of November. 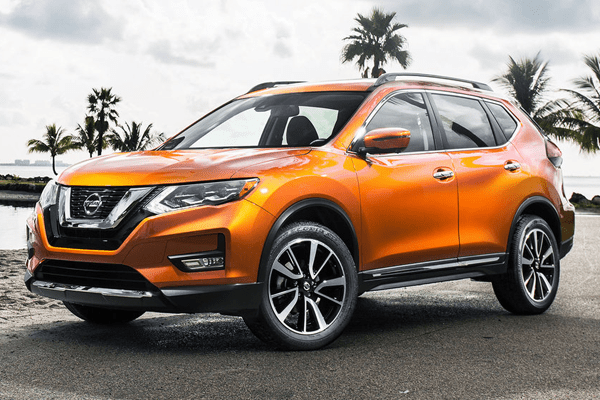 The reason for this is not hard to find – to many people it is yet another predictable entry into the mid-sized SUV segment, which predictably looks like an inflated Subaru Forester or Outback, with little of the flourish of the Viziv-7 concept that preceded it remaining. But is it right to dismiss the new Subaru as another also-ran? After looking at the October 2017 car brand sales in Europe, let’s take a closer look at individual model sales figures. For the last two months we’ve had a newcomer to the podium, with the Skoda Octavia scoring a best-ever 3rd place in August followed by the Nissan Qashqai jumping to a surprise 2nd place in September, and in October we welcome back the Peugeot 208 on the podium for the first time since May 2013, marking only the 5th time the 208 scores this high. For comparison: its predecessor 207 finished on top of the ranking in 2007 and in 2nd place a year later. The 208 is not far behind its rival Renault Clio and outsells all other subcompact cars this month. Not to discount its performance as sales are up 14,5%, but it also benefits from unusual circumstances at some of its rivals with both the Ford Fiesta (still down 10,4% but back up to #4 now that deliveries of the new generation are picking up traction) and the Volkswagen Polo (-41% to #22) hampered by their generation changes and the Opel/Vauxhall Corsa (-18,3% to #15) hurt by a reduction in fleet deliveries by the brand’s new owner PSA, as well by a decline in overall UK volume. The two French subcompacts trail the market leader Volkswagen Golf which is impressively up by 24%, its fourth straight month of growth (and its second with double digits) after a 14-month losing streak. An impressive rebound considering its facelift has been only minor in terms of cosmetics and the VW Group has added a number of crossovers to its line-up that are expected to cannibalize sales from the regular hatchbacks and station wagons. European sales of passenger cars returned to growth in October 2017 after a one-month decline in September. 1,2 Million new cars were registered in Europe, which leads to a 10-month figure of 13,1 million, an increase of 3,5% on the same period last year and more than the 2014 full year figure. That means 2017 is very likely going to be the fourth consecutive year of growth after hitting a low of 12,3 million sales in 2013. Sales of regular cars (hatchbacks, station wagons, sedans, coupes and convertibles) are up by 0,5% (YTD: -0,5%), while MPV sales are down by 5,5% (YTD: -11%) and sales of crossovers and SUVs are booming just like in the US and China: up 19,8% (YTD: +16,7%). Among the five biggest markets Spain, France (both +13,7%) and Italy (+7,1%) outgrow the European market while Germany (+3,9%) trails and the United Kingdom continues to struggle with another double digit loss (-12,2%). Besides the UK, only Ireland (-13,8%) and Finland (-4,6%) lose volume in October, while Bulgaria (+41,3%), Lithuania (+33%) and Hungary (+30,4%) show impressive growth rates. Year-to-date, Italy (+8,9%) and Spain (+7,3%) are the fastest growing among the five largest markets, followed by France (+4,8%) and Germany (+2,3%). In contrast, UK sales are down by 4,6% so far in 2017.